News360 will introduce a new cross-platform content personalization mechanism based on interests and reading preferences gathered from integrations with Facebook, Twitter, Google Reader and Evernote, among others. Automatically generated profiles will enable users to instantly discover the content that is relevant to them with one click of the News360 icon. 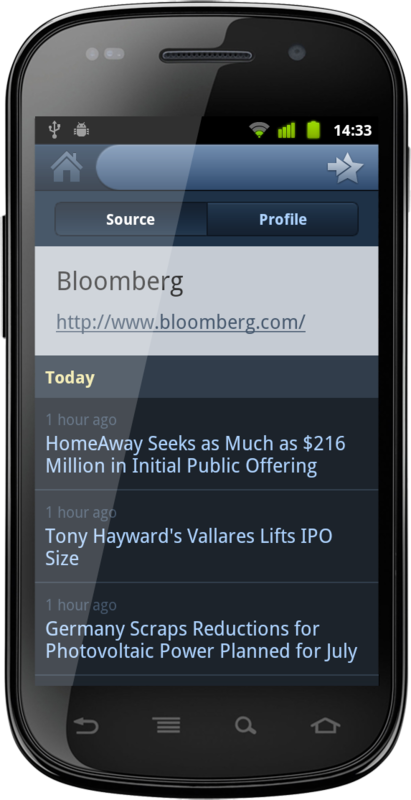 But the highlight here is easily the application design. It's smooth, with a fluid transition between pages, rich high resolution images, and quality inline video. It's also uniquely Android; versions are available for multiple platforms, each having the same overall look and feel yet keeping the controls and layout in the stye associated with each individual platform. The iPhone version, for example, has a familiar icon bar across the bottom, with the settings and favorites where you would expect them, and the Android version has those same controls in the upper right corner. It's the little touches like this that separate it from the pack. News360 is free from the Android Market for phones running Android 2.2 and higher, and you'll find the download link, some images showing off the interface, and the official press release after the break. San Francisco, Calif., July 7, 2011 - News360, the next-generation news delivery platform that is changing the way people discover, consume and interpret up-to-the-minute information from the world around them, today launched News360 for Android smartphones running Android versions 2.2 and up. 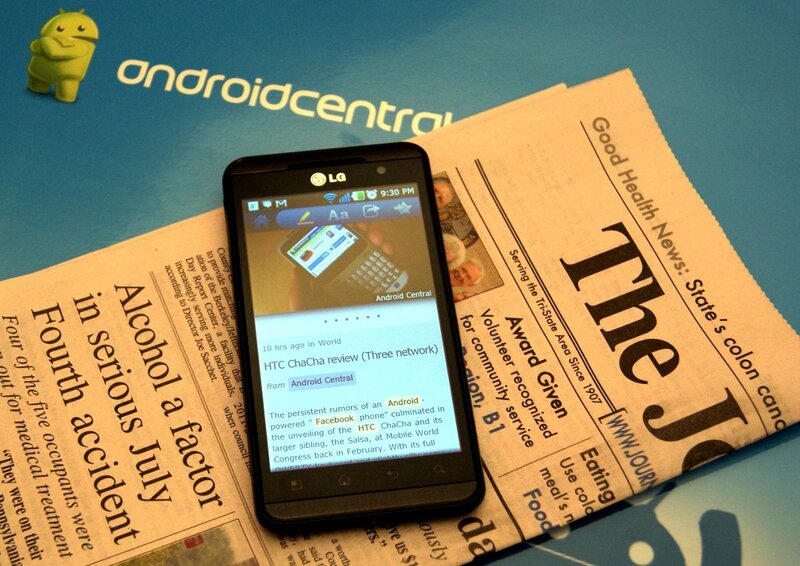 News360 is available as a free download from Android Market. 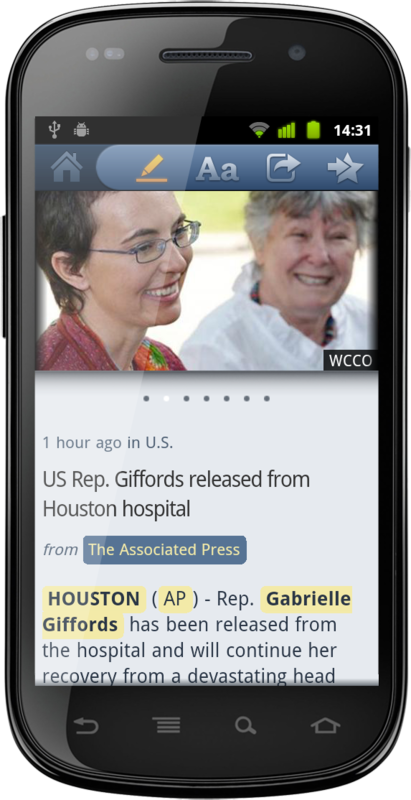 News360 aggregates intelligent, customized news from a multitude of sources and compiles it in an attractive and intuitive interface in real-time. The app is run on advanced semantic analysis and natural language processing technology developed over the last decade. Android smartphones are the latest mobile platform to receive a native build of News360, which is also on iPhone and iPad, Android Honeycomb tablets, Blackberry Playbook and Windows Phone 7 devices. With the launch of News360 for Android Smartphones, the app is now available across every major mobile platform in the US. 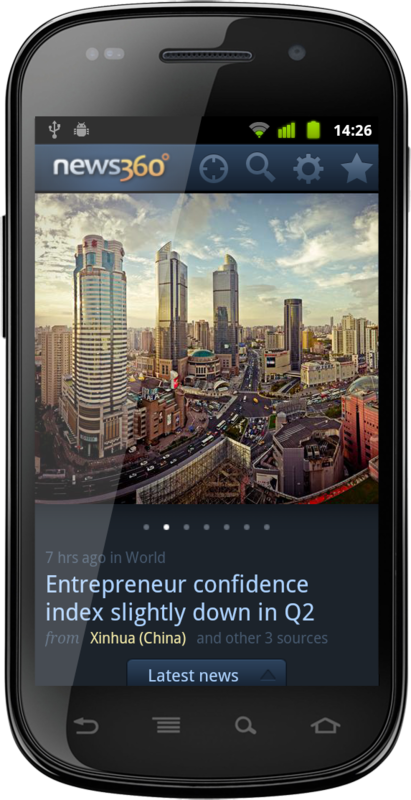 •	Engages readers with an interactive, highly intuitive graphic interface that integrates photo and video layers, allowing users to see news content in a new way and to serendipitously discover stories. 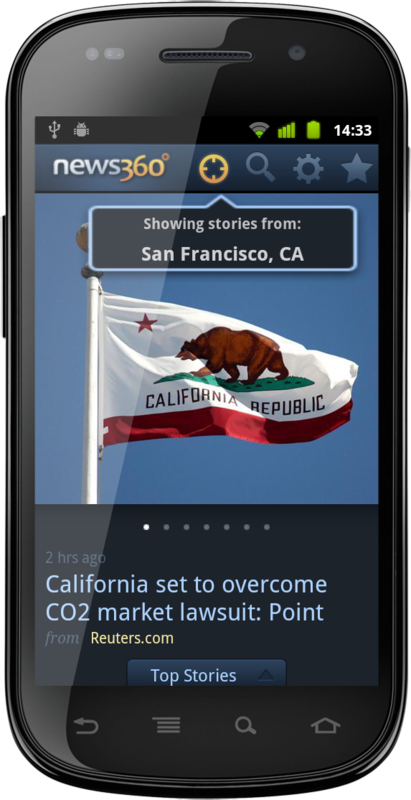 In addition to top news stories, News360 users can create custom feeds to follow the people, companies and topics that matter most to them. Later this summer, News360 will introduce a new cross-platform content personalization mechanism based on interests and reading preferences gathered from integrations with Facebook, Twitter, Google Reader and Evernote, among others. Automatically generated profiles will enable users to instantly discover the content that is relevant to them with one click of the News360 icon. News360 for Honeycomb Tablets has been selected as one of the featured apps on Android Market and has been downloaded more than 40,000 times since its launch on May 24, 2011; the iPad app has maintained a 5-star rating average across more than 2,200 reviews on iTunes. News360 is a next generation news delivery platform that is changing the way people discover, consume and interpret up-to-the-minute news from the world around them. News360 uses advanced semantic analysis technology and natural language processing to identify the day's top stories from more than 4,000 global sources, analyzed for relevancy and credibility, and delivered alongside personalized newsfeeds tailored to each user based on individual preferences, reading patterns and social data analysis. 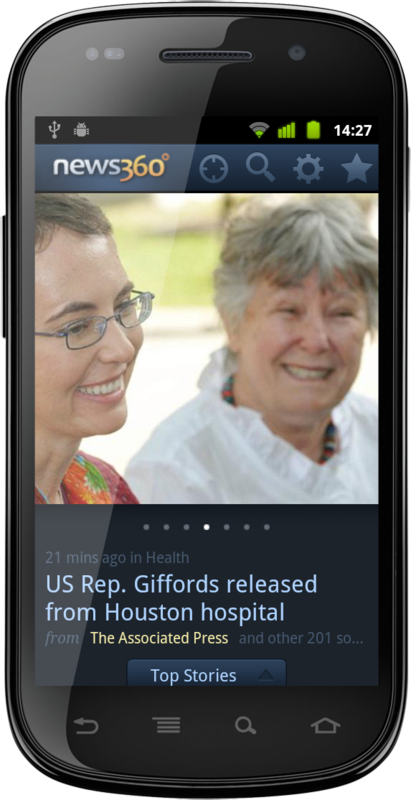 News360 is available for Android Honeycomb tablets and Android smartphones, iPhone and iPad, BlackBerry PlayBook tablet, and Windows Phone 7 devices. News360 is privately held. For more information, visit www.news360.com.